Sometimes we need an easy win. We wouldn’t say no to ‘great cut flower’ either. Most importantly, we need those tired gardening clichés to be true, not aspirational. I am a cynic. I’ve seen way too many meh, high-maintenance, deer-candy plants described thus over the years. But then, I am also a garden writer who believes strongly that creating unrealistic expectations can destroy the self-confidence of amateurs; and that honest words will not put off the adventurous. However, there are a few plants which deserve a narrative extolling unparalleled ease, and this week, I’d like to showcase one of my very favorites for the summer garden: a common annual with uncommon virtues. If you’re not growing it this year, you should be. Zinnia? Isn’t this a column for serious gardeners? Yes. 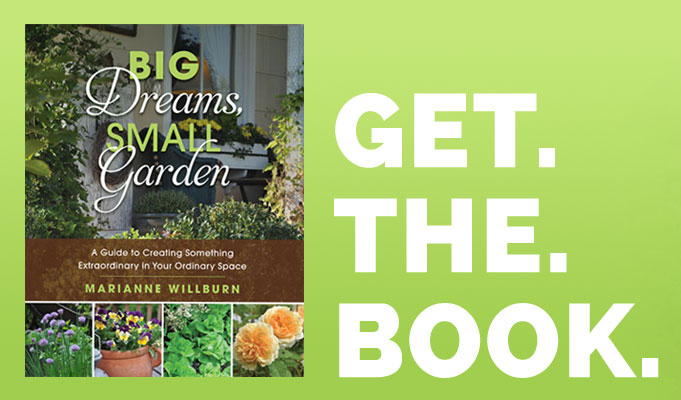 I’m talking about that common, colorful annual that is often seen growing in overcrowded clumps by mailboxes, or sticking up in the middle of awkward flowerbeds like an afterthought. 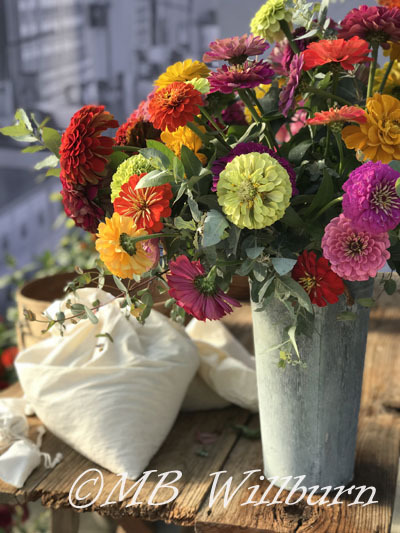 I’m talking about those coarse, festival-colored flowers that schoolchildren grow in Dixie cups and whose kaleidoscope hues never quite mesh with the décor when you bring a bunch inside. There have been many crimes committed with zinnia over the years because they are so easy to grow; but just like the exquisitely planted hanging basket that you paid a fortune for and then hung by its plastic display hooks a foot too high near the front door, many times the offense has more to do with how you use a plant – or how you don’t. Put those crimes against good taste out of your mind, and let’s explore this fantastically versatile annual. From classic cultivars to those bred for mildew resistance and exceptional color, there is a zinnia for you. 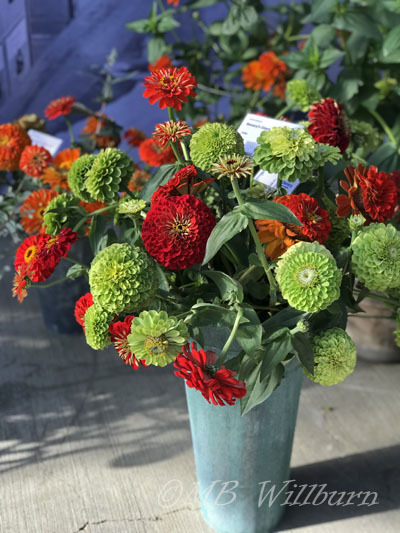 Zinnia are heat-loving annual flowers whose native habitat stretches from the Southwestern United States through Mexico and into South America. They are one of those rare plants that can be grown well in the hot dry conditions of a California summer and bring just as much color to a hot, humid Mid Atlantic season. In fact, the first clear memory I have of flowers in my parents’ garden (in the sweltering foothills of the Sierra Nevada Mountains) is of zinnia growing through a split rail fence. 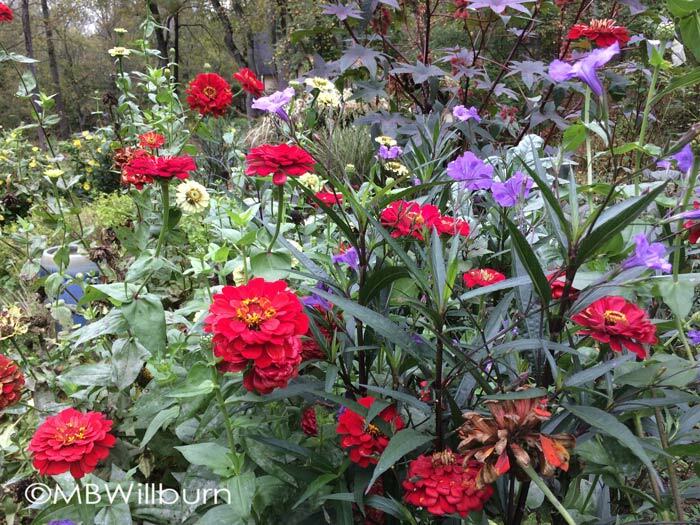 About the only thing zinnia won’t forgive is a shady spot – or being sown in a land of cool summers and high rainfall. The British are bitter about this, but usually retreat to the safety of condescension and meconopsis. The fine print: Powdery mildew can disfigure the leaves of zinnia, appearing later in summer to splotch green leaves with white. Both fungal and bacterial leaf spot can also be a problem – especially during a particularly hot rainy season. While these are foliar diseases and do not affect flowering, if you grow multi-petaled scabiosa- or dahlia-flowered cultivars in a rainy season, the heads may collect moisture and attract botrytis which zaps the flower to black goo. 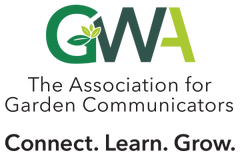 Use cultivars bred to resist disease. Narrowleaf zinnia ( Z. angustifolia) tops out at 16” and has always shown great resistance, so clever breeders have combined it with Z. elegans (the common garden species) and given us compact, mildew-resistant colors in a range of hot to cool shades with series such as Profusion™ and Zahara™ . These are ridiculously rugged and at 8-12 inches high, work very well in containers and front-of-border applications.I once left a lettuce container of germinated Profusion™ ‘Red’ on a patio table for three weeks before it finally made its way to terra firma – where it exploded with color for the rest of the season and I shook my head every time I looked at it. Grow larger cultivars between other perennials to cloak their foliage. Remember, flowers aren’t affected by mildew, and single-flowered cultivars are less vulnerable to botrytis. Sowing indoors four weeks before frost and setting out maturing plants works well for this application. Grow them less densely to promote air circulation, and do your watering at ground level. Spray them with a fungicide every ten days, which will rapidly grow tedious and very probably affect nearby bee populations who visit those gorgeous blooms. Here’s where the crimes get committed. In a season with average rainfall, the gardener can more or less sow and go. And, once established beyond a few true leaves, zinnia cope beautifully with dry spells in the garden (where, just as the earth starts cracking, the resident gardener skives off to the beach for a week). This superpower works upon our baser nature as gardeners. Neglect happens – the zinnia thrives. And, as they take extremely well to direct sowing, there is a tendency to grab a couple packets of [insert random mix] and scatter them wherever you see bare earth; or allow once-carefully selected colors to reseed themselves and revert back to those parents not-so-carefully selected. If you’re not skillfully crafting a Jekyll-style border, this may delight you. If you are, it could put you off. Instead, get active in your choices and more active in your care. 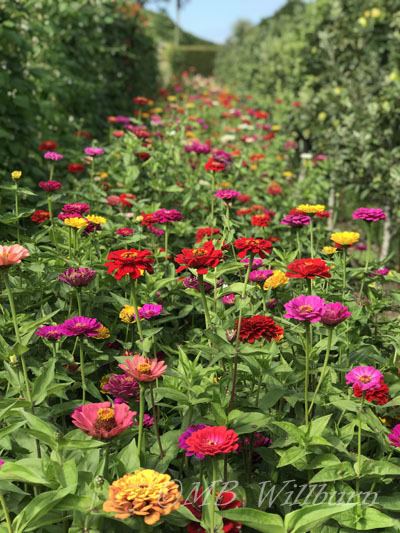 The range of color and shape in modern zinnia cultivars goes way beyond the Big Box fodder of ‘Lilliput Mix.’ And when you’ve got a flower that is this easy to grow, you owe it to yourself to explore them. 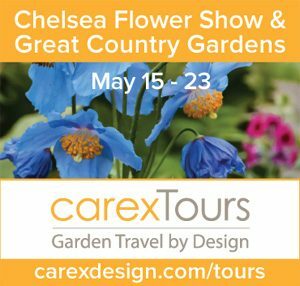 You can choose blooms that accentuate your color schemes, not compete with them – from deep reds (Dreamland™ ‘Scarlet’) to an elegant chartreuse (‘Envy’) (Park Seed). Zinnia is a flower that responds extremely well to deadheading. The more you cut for indoor vases, the more flowers are produced from nodes lower down the stems. Taller cultivars may need staking if you experience high winds. Zinnia grow so rapidly that a wind-flattened stem will almost immediately begin sprouting vertical buds. If you do not correct this at once, you’ll have tough decisions to make. And now I turn to those of you who are still not convinced. You know who you are and why you refuse to be moved. I put it to you that in some small corner of your garden, perhaps where delicate and expensive spring ephemerals bloom and then sleep, there is a place for this colorful, easy summer annual. Did I just say easy? Sorry – didn’t mean to put you off. Zinnia brighten the spaces between sought-after shrubs. They draw the eye to far off views and happily rub shoulders with niche market vegetables. They ask for little and look after themselves under a punishing sun when the serious gardener is spending an inordinate amount of time in the shady beds figuring out why the farfugium is failing. 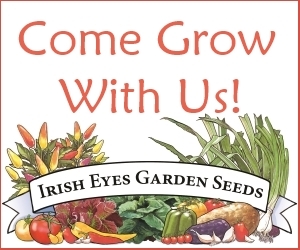 Remember, your garden visitors are not only made up of fellow garden club members who speak in tongues and wander your garden looking for flaws. There are those shallow souls who respond to trivial characteristics such as vibrant color, strong form and (shock horror!) cheeriness. Zinnia are not known for their delicacy. There is a ruggedness to them that doesn’t pair particularly well with the blousy naturalistic garden or the gentle summer meadow. Leave that to cosmos and give your zinnia partners that will stand up to them and soften them, such as Ruellia brittoniana, Calamagrostis brachytricha, Tithonia rotundifolia, Ammi spp. or some of the taller annual salvias; and remember that those bright, strong colors will draw attention to militaristic spacing, poor height planning in beds, or garden elements best hidden (like well heads and septic tank covers). 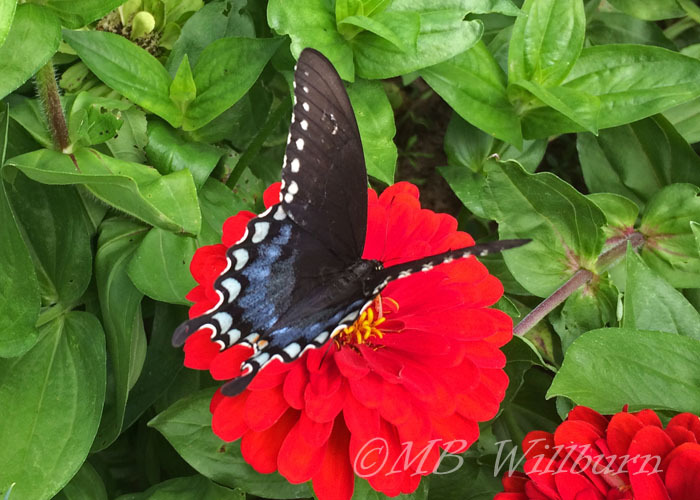 Bonus: Zinnia are beloved by butterflies and many other pollinators. Zinnia are one of the few flowers that can pair ‘new and adventurous’ with ‘tried and true.’ Use that superpower for good, not evil.